Pets en Voyage launched in 2011 and it has been quite a pawsical ride! 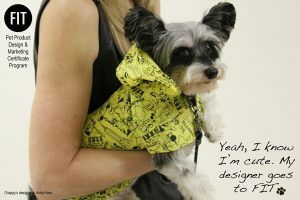 Fidose of Reality blogger, Carol Bryant, named Abby Kass, Founder and Designer of Pets en Voyage, One of 10 “Paw-er” Women of the pet industry in September, 2011. The official launch of Pets en Voyage!